English Article :Old kimonos with kogin embroidery. 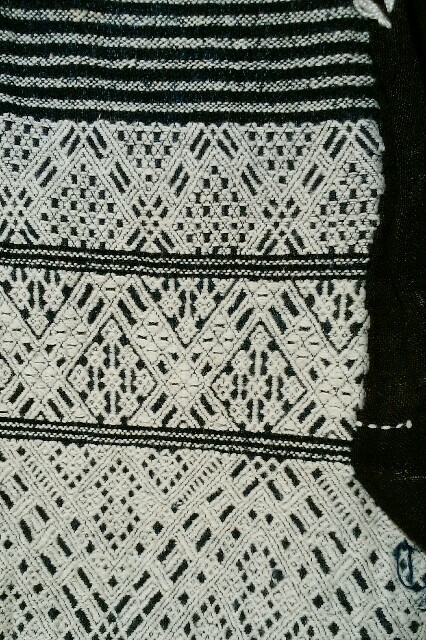 In old days, kogin used to be embroidered on kimonos. Recently I had an opportunity to see such old kimonos, and took pictures them. Then I ’ll introduce here. 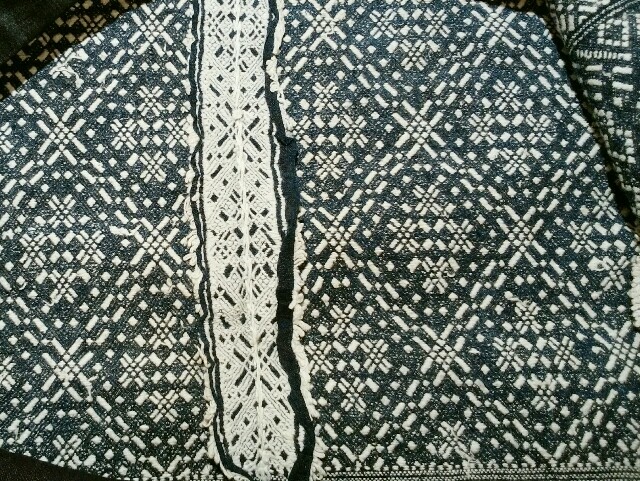 Kogin was embroidered on dark navy cloth with white cotton threads. Usually embroidery is done around the chest from the shoulder of the kimono. 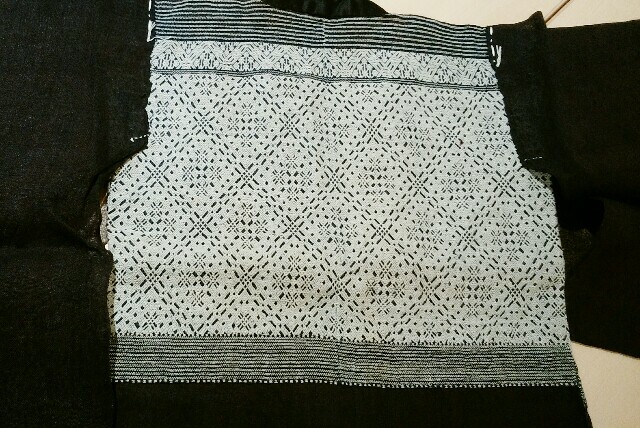 The cloth for kogin is linen. The weave of the fabric is finer than the current cloth. And also, the cloth is very thin. 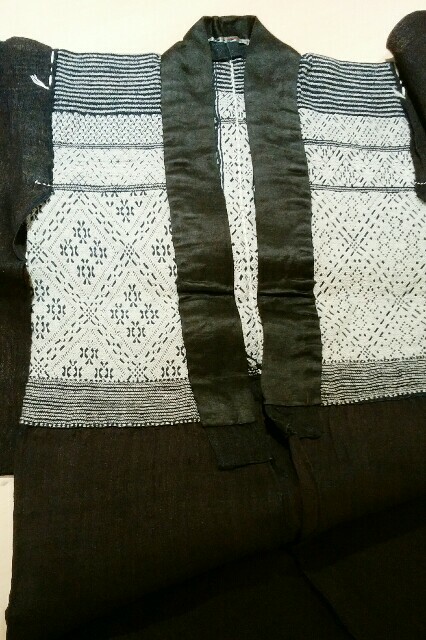 This cloth seems to be a part of kimono.Perhaps only the part of embroidery was remained. 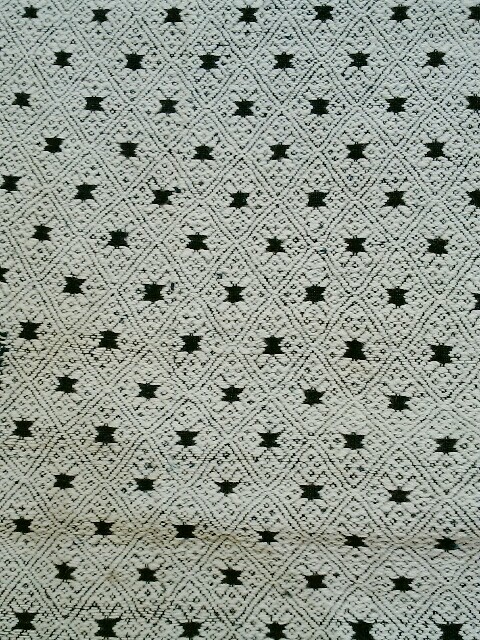 This was embroidered repeating same pattern. 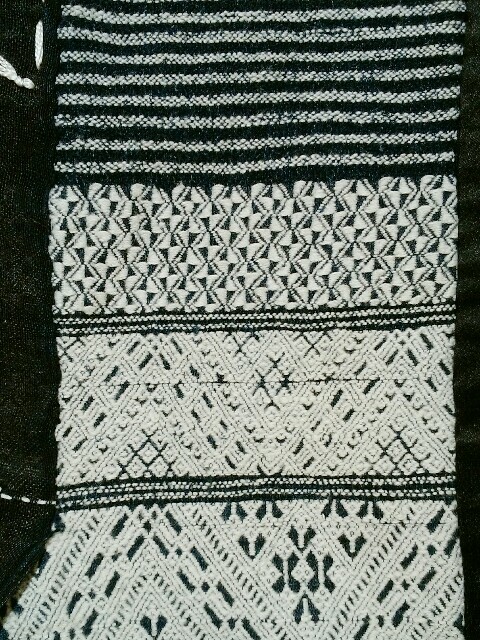 The name of pattern is “KUMO-ZASHI”. In Japanese, kumo means spider. 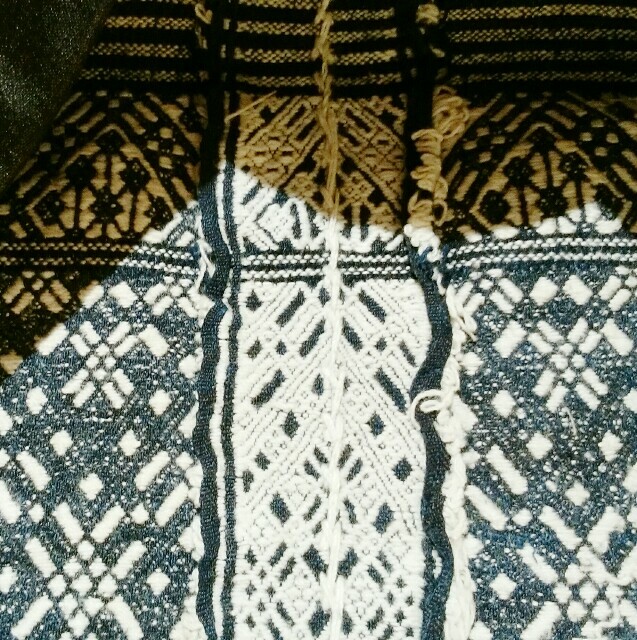 This kimono has various patterns, Each patterns are sectioned by stitching line. All whole embroidery pattern is amazing. Whole embroidery reminds me the winter mountain covered with snow, isn't it? The backside is also beautiful. Amazingly the kimono was sewn together so that the patterns match on the back. Without pattern book or graph paper, people embroidered these kogin.It’s really amazing! I really want to convey this beauty to the future. English article～The way of kogin embroidery.